The second stage of the Regulation of Termination of Pregnancy Bill has passed by a large majority in the Dáil. The bill now moves to committee stage where amendments to the bill will be considered and discussed. Introduced to the Dáil the week before the Budget, the second stage of the legislation passed by 102 votes to 12. Seven TDs abstained. Many of those abstentions came from the Fianna Fáil party, whose TDs are free to vote with their conscious. 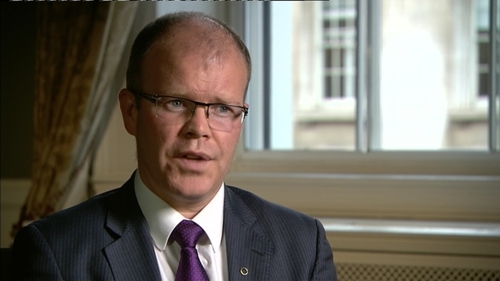 Sinn Féin on the other hand are subject to a party whip on this issue, which means Meath West TD Peadar Tóibín now faces suspension from the party for voting against the second stage. The bill will now move to the Oireachtas Health Committee, where amendments will be considered. The Minister for Health wrote to its chairperson, Dr Michael Harty, last week to request that committee stage take place next week during the Dáil's October recess. Mr Harty will ask the committee for views tomorrow. However one its members, Labour's Alan Kelly who is favour of the legislation, has expressed concern over the window of consideration between the time amendments can be tabled - which is this Friday - and their examination next week. Fianna Fáil’s health spokesperson has said his party is happy to facilitate meeting of the committee next week. However Stephen Donnelly, who is a member of the committee, has warned that trying to compress the time available can lead to mistakes. He said it is imperative that legislators get the regulation of termination of pregnancy bill right. Mr Donnelly added that he has spoken to health professionals who are concerned about the speed at which services are expected to be up and running. The Wicklow TD said if the Minister for Health wishes for the committee to meet next week, he and the Fianna Fáil party will aim to facilitate that.